Truffles is a little dog in a white fur coat, who has it made—smack–dab in the middle of a big city. 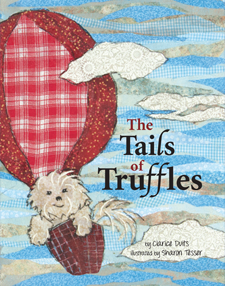 Despite living in the lap of luxury, Truffles longs for socialization—outside the brick– and–mortar of downtown living. You can take the dog out of the city, but you can’t take the city out of the dog in this whimsical picture book that carries this little foo foo dog in and out of reality and make–believe—via English idioms—shown both literally and figuratively.